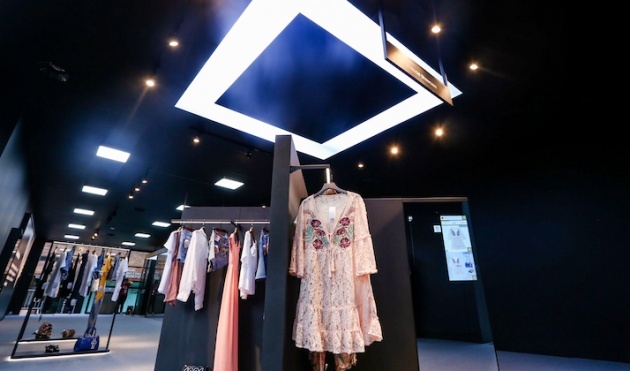 Alibaba Group debuted its first “FashionAI” concept store, demonstrating a way to shop with the help of artificial intelligence. The pilot store at Hong Kong Polytechnic University showcases Guess apparel through innovations such as “smart mirrors,” which display product information on a nearby screen when shoppers are touching or picking up a garment. The smart mirror also makes mix-and-match recommendations and points to where the suggested items can be found in the store, so shoppers can try on a complete outfit at one go. In addition, each item has its own intelligent lock, supported by radio-frequency identification, gyro-sensors and Bluetooth low-energy chips. This allows the mirror to more accurately capture movement and spot the colors, styles and attributes that are most popular among customers.